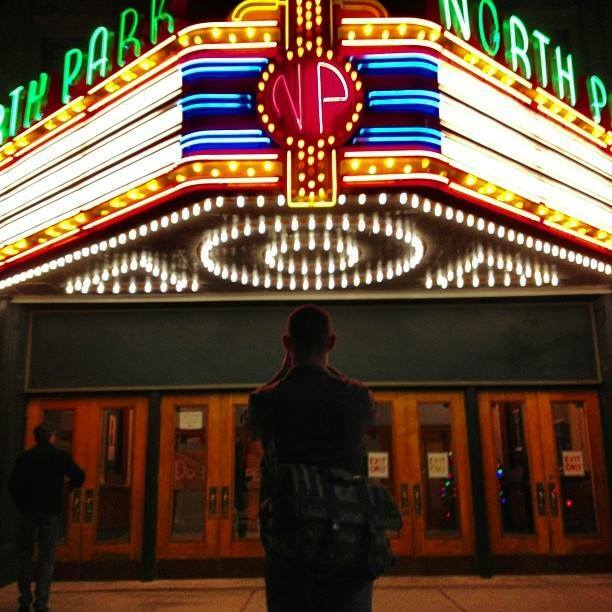 You may have heard of 43 North. The group responsible for the world’s largest international business idea competition. 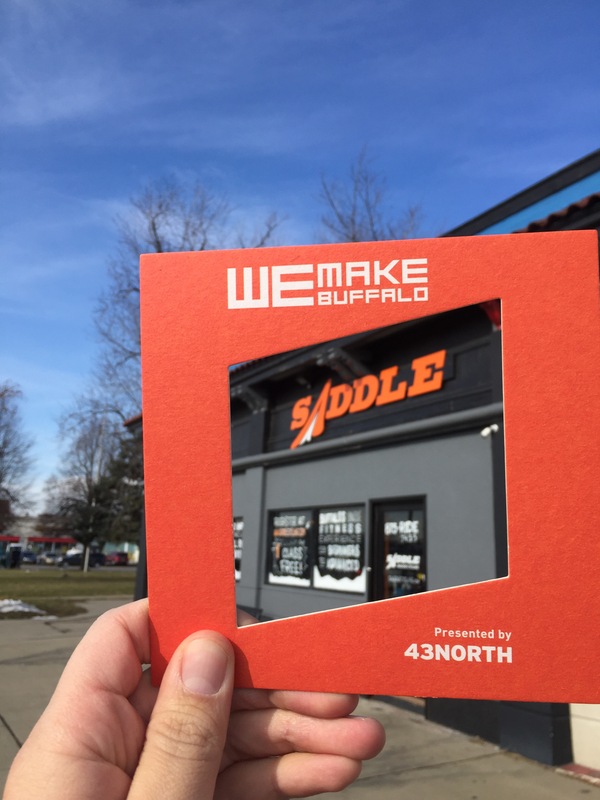 Their primary focus has been to attract startup businesses with innovative ideas and have them set up shop here and call Buffalo home. But the focus of 43 North isn’t just about giving money away. 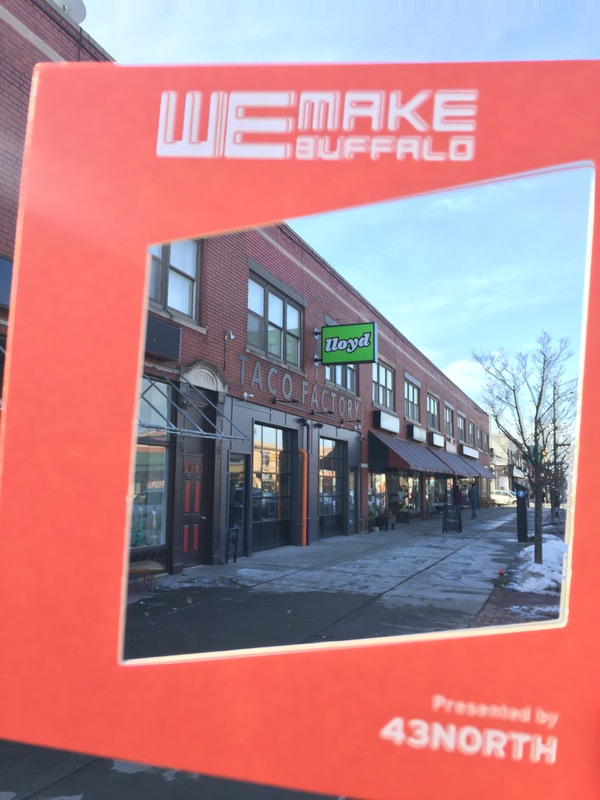 It’s about promoting what we’ve got, fostering continued growth, encouraging public support and celebrating everything that makes Buffalo such a desirable place to be. A wide variety of home-grown, brick-and-mortar small businesses are driving just as much growth and hype as the flashy out-of-town tech startups. 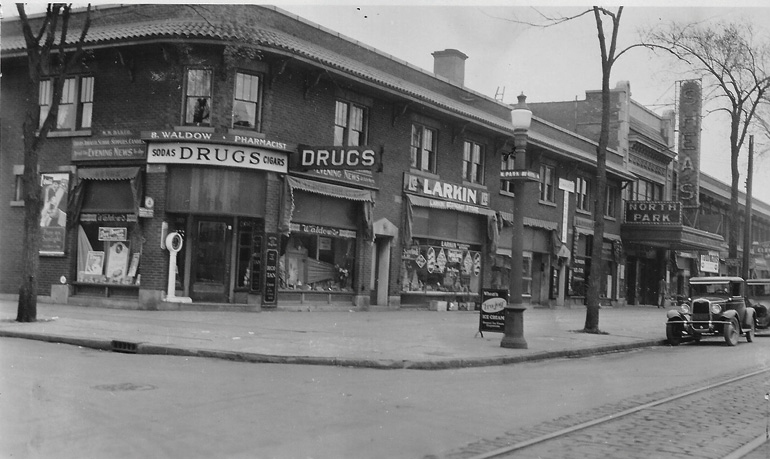 And Hertel Avenue is as great of an example as any area in the region to demonstrate the great array of local entrepreneurs we have right here. All on one drag, the variety of shops and uniqueness of their offerings is astonishing. And these snapshots are just a random sampling of many more. These places are putting their stamp on the city. And quite frankly, their success is vital to our success. So next time you’re out and about, give a nod to those business owners. Give them your support – because they need you as much as you need them. 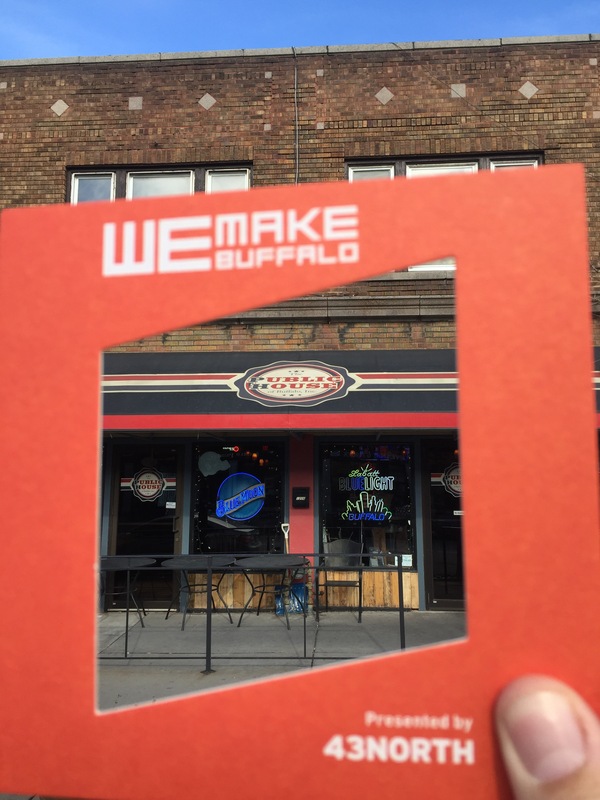 And together, We Make Buffalo. There she stands. Quietly overlooking North Buffalo. An empty plot of land surrounds her, and many months have passed since the former Korean Methodist Church sat in tact, keeping her company. It’s been even longer since there was activity at that corner. To me, this nearly demolished space is a reminder of the “old Buffalo” – blighted and defeated. But, if you look at it from a different angle (and I suggest you do), this very tower symbolizes the movement we’re seeing all around town. One of promise, hope, and revitalization. This tower is destined to return to glory. Just like those grain elevators downtown and the countless turn of the century warehouse buildings we’re seeing slowly reborn. You may have read a prior blog of mine showing the plans to build high end apartments around the anchor tower. Time may have passed, but the plans haven’t changed. The project is moving forward but at a slower pace than planned. The harsh winter caused a series of delays for most contractors. The design and intentions remain the same and the goal is to have foundations poured and framing/building shell construction start late this fall/early winter. I’ve had the opportunity to speak with Sam a few times and his position has always been the same. 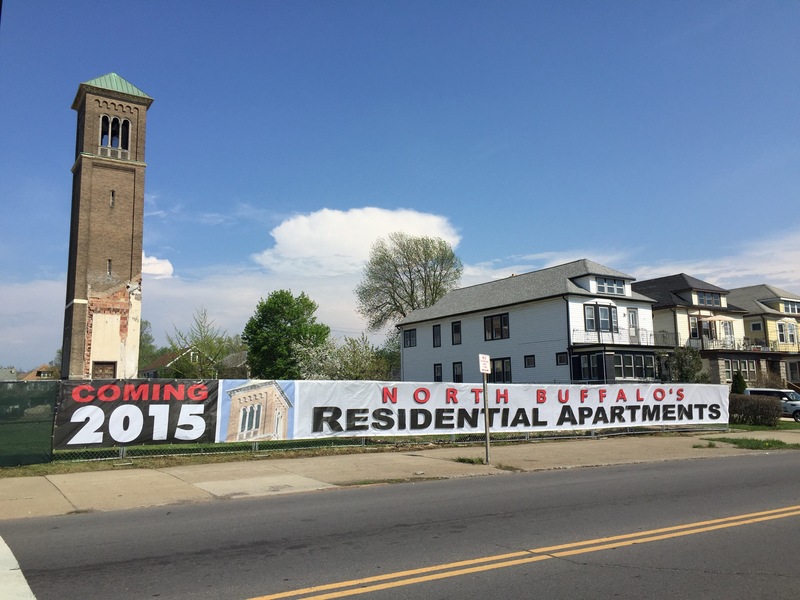 He’s excited for this project and for North Buffalo. He’s a bit apologetic for the length of time it’s taking to get a shovel in the ground. And most of all, he’s thankful for the patience and support of the community. Hang in there folks, good things are ahead! 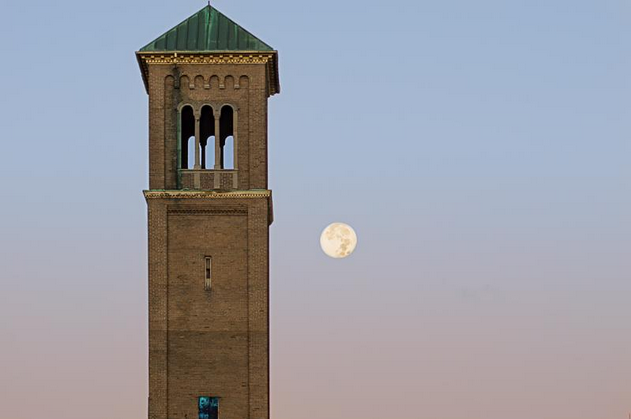 Tower photo courtesy of Chris Bordeleau Photography (@buffcleb). 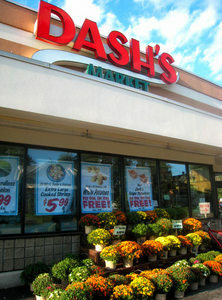 Dash’s makes a dash for Kenmore Ave.
Say it isn’t so! Last week, Budwey’s Supermarkets announced their plans to sell their Kenmore Avenue grocery store to Dash’s Markets. With no need to operate two Dash’s stores in North Buffalo (Kenmore Ave. & Hertel Ave.), Dash’s will be closing their Hertel Avenue location. Say what? Sure, I don’t do my MAIN grocery shopping at Dash’s on Hertel but I’m pretty much stopping there every week to fill in the gaps. “Filling in the gaps” translates into “Things I forgot at Wegmans” and today was no exception. It’s hard to make a tuna casserole without the tuna. It’s also nice to not have to deal with the chaos at Wegmans when you only need three or four things. In fact my sanity depends on it. Now what am I going to do? Let’s be honest, their move to Kenmore Avenue is only a 1.2 mile detour and the new location is technically still within the North Buffalo city limits but the thought of a vacant building on Hertel Avenue never sits well with me.